Is your business struggling to reduce operational costs while maintaining or enhancing the quality of your products or services? Are you looking for ways to target your audience better and engage with the right clients to increase profitability? 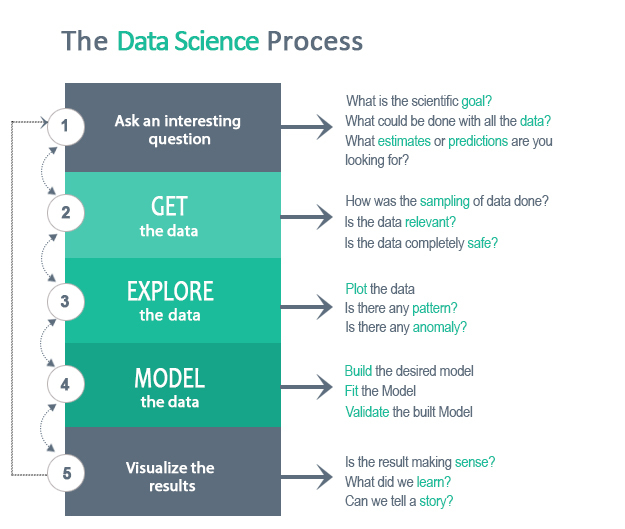 Then, Data Science as a Service (DSaaS) becomes an important function which can be leveraged by your organization to overcome these challenges. Outsource2india, one of the leading data science consulting firms, provides data science as a service and delivers high-quality and complex analytics solutions which will turn your raw data into quantifiable information. We can help businesses thrive by collecting, analyzing, and processing their data which will, in turn, help them reduce operational costs without compromising on the quality of the products. These systems are a great way to cross-sell or up-sell on your e-commerce website by providing your clients with smart recommendations. These recommendations are based on their past purchases and preferences. Our data scientists can develop highly effective recommender systems using collaborative filtering approaches to help you increase sales and boost revenue. We can develop quality classification systems to make processes for businesses better. We leverage big data statistics delivery based on customer sentiments and advanced social media monitoring to get a detailed analysis of machines using various weblogs, sensor data, and other patterns. Our systems can provide you with actionable insights based on transactions, web clickstreams, etc. These systems can help businesses determine the correlations between several data streams and predict customer behavior and future purchase patterns. Our forecasting systems can be customized as per your requirements and leverage big data analytics and strategy suggestions for new service/product sales. We can even integrate smart algorithms which can help in predicting potential financial risks and fraud. It is important to understand your customers, their pain points, and needs. With Outsource2india's cognitive customer analytics services, you can gain a holistic view of your customer's individual behavioral and cognitive insights. Our services can help you with campaign analytics, churn management, clickstream analytics, micro-segmentation, and targeting, etc. which will give you a 360-degree view of the customer. Read about our expertise in cognitive process automation. We, at Outsource2india, have the required skills and technologies to provide our clients with effective operations analytics services. Our data scientists can provide clients with demand analytics, security risk analysis, asset analytics, sales analytics, finance analytics, HR analytics, etc. which will ensure that all the departments of the organization go hand-in-hand and operate in a smooth manner. Why Choose Us for Data Science as a Service? A leading banking organization was looking for a partner who could help them automate the document processing. Our team of data scientists developed a big data-based platform in no time. A leading bank was looking for a data science service provider who could use their in-house structured and unstructured data to create an open source analytics workbench within a quick turnaround time. Outsource2india has been a leading provider of data science services in India and to clients around the globe for the last decade now. We have a team of highly experienced data scientists who are capable of handling requirements of the client with ease and deliver highly customized data science solutions within a quick turnaround time. Our team trains the underlying data science model and configures the solution as per the requirement. If you are looking for a reliable, cost-effective, accurate, and efficient data science service provider, then look no further. We can help you achieve excellence by accelerating your analytics endeavors. Get in touch with us today!